Amanda Murphy Design: Black Friday Sale - Harlequin! Just for today, I'm selling Harlequin over in my Craftsy shop! 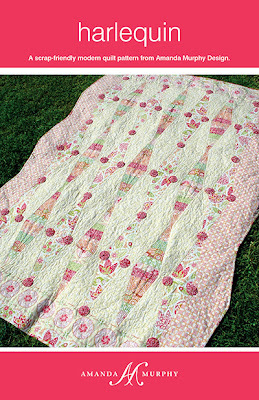 This is a deceptively easy pattern featuring strip piecing - it is REALLY fun to make! The fabrics are from my Bella line for Blend Fabrics that is currently on the market. I used mostly pinks but there is a little aqua and green snuck in.